I've had another go at posting on medium. The word that sticks out for me here is deserve, perhaps because I've been teaching about desert theories of economic justice this term. Why is it that people who work longer hours deserve more (and to be taxed less) than those who work fewer hours? The theory that most obviously supports this view is effort desert theory; people who put more effort into their economic activity deserve more than those who put in less. Talents shouldn't make a difference. Some people find it easier to be productive than others. Effort theory says people should be rewarded for their efforts relative to others, not how successful they are. Gifts shouldn't be allowed. If income should relate to effort put into the economy, then people shouldn't be able to get money without putting in the effort. Those who got their wealth as a gift from their ancestors should then face punitive tax rates. Investment income isn't deserved. People who generate income from investments rather than working aren't deserving--they aren't expending effort. So landlords (except when they are making improvements or providing services) aren't deserving. The Maine proposal, however, isn't obviously progressive; it is a reduction in tax for a select group. This would then leave the state with less revenue to assist the poor. However, perhaps this is actually progressive to tax some people less if they are working long hours for it. Perhaps what this latest proposal picks up on is that there is a group in society that is often ignored by both the left and the right--people who work very long hours for low wages. Because their hard work gives them a reasonable total income they might not qualify for much assistance from the state. Some on the left might not like their materialist attitude as well. The right ignores them because they aren't talented and they generally don't want to give people extra support. Time spent is one way to measure effort, particularly when the work you do is directed so workers aren't able to vary how intensely they work; the intensity is fixed by the nature of the work. My hourly-averaging proposal might be of interest to the Maine legislature as this calculates people's tax-rate according to the number of hours worked. Those who work longer hours to attain the same pay would be taxed at a lower rate. It would apply the principle not just to a limited case of hourly-paid workers who cross a threshold, but on a sliding scale across all workers. There are of course practical questions with both my proposal and Rep. Gringon. How do you reliably measure people's hours? Well, his bill points out that employers are required by law to pay the overtime compensation to the employee. So the legal system is already taking account of the number of hours that people work. In this case, presumably, the worker has an incentive to insist on their rights against their employer whereas there is a problem for the Maine proposal and mine in that the employee and employer could collude to overstate the number of hours they work. Getting around this practical problem is difficult but not impossible. Monitoring employment contracts, pay-rates for different kinds of work, and investigating unusual cases could do a lot of the job. Furthermore, employers are increasingly using technology to monitor workers. If the authorities had access to this information then it would be easy to verify the amount of time people spend working. This is just the latest example that shows the relevance of time to distributive justice; numerous forms of tax credits being an obvious existing example. Hopefully people will take greater note of this as my hourly averaging proposal is the most thorough application of the principle that people who work longer hours should be taxed less. What does it mean to be left-wing? I’ve noticed a lot of name-calling on the social medias lately, with words like ‘neoliberal’ and ‘centrist’ being hurled at bemused people who consider themselves progressive left-wingers. This has caused some to decry that they don’t know what neoliberal means, since they know they aren’t one but are being called one anyway. Queue false incredulity from ‘true believers’ on the left. The simple fact is that the loss of faith in state planning by many on the left has led many away from the traditional left. This creates problems when viewing through the familiar political compass. 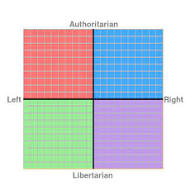 According to the traditional compass, above, left-wingers are split into libertarian (anarchists) and authoritarian (socialists). But what does it mean to be left-wing? One answer is that left-wingers want government control of the economy so that it is run for the benefit of the people or the workers. On this view the political spectrum runs from free-market to government-control. The problem with this is that it leaves no room for left-wingers who don’t believe that state-run industry is a good idea, or that it is simply wrong as the state should not exist. Another answer is that left-wingers want governments to redistribute resources from the economically successful to the less successful. This is less radical in one respect—it doesn’t require the overthrow of capitalism and this isn’t its aim. It requires tough regulation of firms to ensure that they act in the public interest, including price regulation if there are natural monopolies. More distinctly, it requires large-scale redistribution from the more economically successful to the less. But if left and right are understood in the ‘old’ way then on this compass there is no place for the distinction between those who would want state control of all industry, those who seek the abolition of private property and those such as myself who advocate a maximally redistributive form of capitalism. Personally, I argue for extreme interference in people’s post-tax income, but not for state control of industries or the removal of all state apparatus. The kind of position I am referring to was called the ‘third-way’ in the 90s, but is more correctly termed liberal egalitarianism. Liberal egalitarians support whatever economic system works best for the worst-off and want to ensure that everyone has political and personal freedoms. The 'third way' was castigated after the failure of the Clinton and Blair governments to that much redistribution. As a side, note, I think they did more than credited, it was nowhere near what many supporters of a ‘third-way’ would want. Critics would point out that this is inevitable since the position acquiesces in a pro-market ideology, while defenders would point out these movements were either unambitious or hamstrung by the political climate. Something is wrong with a spectrum or compass if two very different political positions come out as being the same. Or if someone would label themselves in one position but others would place them somewhere completely different. Both of the above compasses (compii?) fail to reflect the variety of left-wing thought. The simple fact is that the left splits into represent different dimensions – statist/central-planning, reformist/redistributive, and anarchist/utopian. Does authoritarian-libertarian axis do the job? Most people will be thinking that I’m missing the importance of the other axis, which adequately allows us to take account of the old-new division. We could ascribe authoritarian as state-control and libertarian as less state control over the economy. This is plausible, and it is probably how many people see that axis. But I don’t think this solves the problem. After all, this means that the bottom left section contains radically different political views in the same positions. Traditional left-wing anarchist/libertarian thought would appear here as they are against state interference. However, so would supporters of redistributive capitalism, even though these are totally different systems. The other (authoritarianism) axis is also of course multiply-ambiguous too. It refers to the level of state interference in people’s lives, but it isn’t necessarily the case that more interference in one realm implies greater interference in another (though libertarians would no doubt claim this). This axis could instead be considered the distinction between social conservativism and libertarianism. There could be a theocratic state which was very intrusive regarding people’s personal relations, but quite laissez-faire when it came to economic interventions. On the other hand there could be a state which was very libertarian about people’s lifestyle choices but very interventionist as far as private property ownership was concerned. So, we could ignore the social-conservative dimension and focus on economic interference alone. But then the highly redistributive liberal comes out. So, should we come up with a hologrammatic cube? Or an even-more multi-dimensional representation of political space (using sounds or something)? But I do know that the left is, as ever, split between various factions with incompatible views while the (perhaps less numerous) right is broadly in agreement on the issue of (relatively or selectively) free markets. What I don’t appreciate is when people mis-represent the left-wing redistributive liberals such as myself as having a view with which we vehemently disagree. Left-wingers who agree with us on the badness of free-market capitalism label us as ‘neoliberal’ supporters of free-market capitalism. Right-wingers who agree with us about the badness of state-run economies or the abolition of private property label us as socialists or communists. But we support private property and freedom of enterprise. Perhaps the only solution is to acknowledge that redistributive capitalism is a valid position and engage with it properly rather than in name-calling. People don’t just hold this position solely as a result of cynical electoral calculation and triangulation (though that be the case for some politicians). Liberal egalitarianism is an attractive political philosophy and can plausibly be considered to offer the best life prospects for working people. Where is the fairness in the climate talks? Carbon Emissions talks are very fraught. They often end in fudges and disappointment, as has happened again recently at the latest round of COP talks. Some important issues have been postponed to future talks, all while humanity continues to pollute at record levels. It is in everyone's interests to have fewer carbon emissions, but rarely in anyone's interest to reduce their own emissions. Everyone wants everyone else to do something about climate change. Further, the benefits of reducing CO2 arise in the future, and those who have to alter their lifestyles (or pay more) are in the present. We are a myopic species, though unlike other animals we can think our way out of our myopia. Climate talks are particularly fraught because there are so many dimensions at play. There is the inter-generational dimension - we can do more, less or nothing for the benefit of our successors. Different states care more or less about these future generations. Governments also want more for their own citizens at the expense of the citizens of other states. This leads to greater intransigence, particularly where countries extract or use a lot of fossil fuels or have a very populist nation-first attitude. Perhaps it is no coincidence that one of the latest stumbling blocks is Brazil, which has recently voted in Jair Bolsonaro as President. You can see carbon talks as a power game where all states try to get the best deal for their own states with the prospect of undermining the whole process if unsuccessful. That is not only dangerous because it risks a complete breakdown. It also means that the overall package is going to be much less ambitious than it might be otherwise. It is this kind of attitude--everyone out for themselves and damn the consequences--that has got us into our current environmental mess. We need ethical principles - of fair distributions - as a baseline in order to proceed in a sensible manner. That isn't to say that philosophers (and others, such as economists) agree on the fair distribution of benefits and burdens. Matters are complicated even more because there are so many empirical inputs into economic climate modelling. Changing those inputs slightly will have a huge effect on the equation. 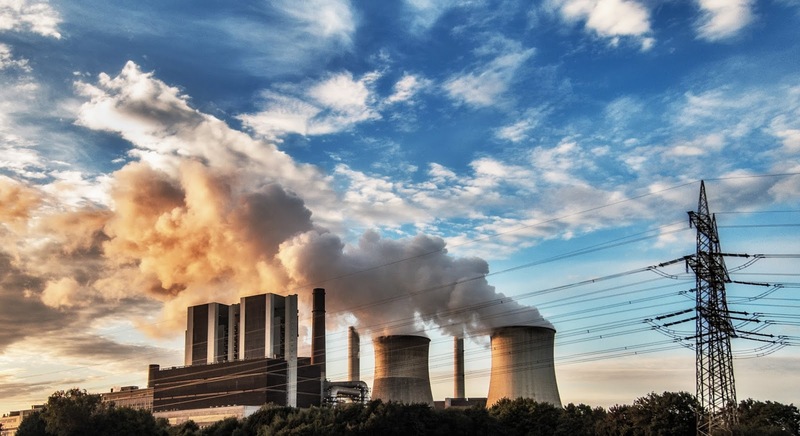 Those who wish to challenge economists and policymakers on questions of climate change therefore need to understand the different theoretical approaches by which to do so. My Summer School course on Environmental Justice sets out some of the ways of thinking about how we should think about the environment and fairness to future generations. Whether you can attend the course or not, I recommend the book Climate Ethics: Essential Readings (edited by Gardner et. al.) as a good starting point. Free time advocated by the UK Green Party! It was very heartening to read this weekend that a major political party here in the UK is taking the issue of free time seriously! Political philosophers and economic researchers have recently been emphasising how this issue has been much overlooked. Bob Goodin's Discretionary Time and Julie Rose's Free time are good examples. 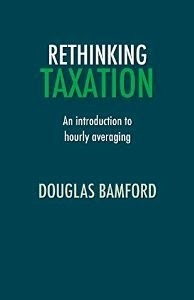 In my book Rethinking Taxation I propose a taxation system that takes account of the amount of free time people have. The Green Proposal is that the state should aim to ensure that people have more free time year-on-year, which I'm not sure about. If people really want to work then that is their choice. However, my concern is that a lot of people have to work very long hours just to get by, not because they really love working in their jobs. What is needed is an economic system that works for those who work long hours for low wages and something like my proposal would do so. Measuring the amount of free time that people have, and linking this to their incomes is the first step to taking this issue seriously and I hope the Green proposal gets this point across to a wider audience. Should there be a referendum on the final Brexit deal? Not the most original topic here but I thought I'd get my thoughts on the record. I'm one of many who is sceptical of the idea that the majority of people wanted any specific type of Brexit, particularly since the campaigners promised many impossible or incompatible things. This is a big problem for the government in their negotiations - votes for Brexit gave no explicit notion of what those voters wanted Brexit to look like. It is therefore quite likely that the final negotiated outcome will be one that isn't to the liking of the vast majority of the UK population (at best representing 20-25% of the population's preference, more likely representing 1%). Pretty crazy to cause huge damage to our country to give 1% of the population something they would like. You might refer to the options as 'softer Brexit' 'hardest Brexit' and remain. I expect remain would win such a vote, but perhaps if the government comes up with a great deal then even some previously sceptical remain voters would vote for it. After all, if we really could leave the EU with all the benefits and none of the burdens then I might vote to leave. I didn't vote to leave in the referendum because it was always complete fantasy that the EU would give a state a good deal for leaving. So I'm hugely in favour of a referendum but it would be a terrible idea for the government to announce this in advance. If the EU knew there would be another referendum then they would lose any slight incentive they currently have to offer a half-decent deal to the UK. From the EU perspective offering a bad deal increases the chances that remain will win a referendum. If such a referendum is then lost then the Brexiteers will no doubt cry foul that the prospect of another referendum actually ruined the chances of a successful Brexit. That's why I think there should be another referendum but that the government shouldn't announce it until the last possible minute. Just a quick blog to recommend the earworlf podcast R U Talkin' R.E.M. RE: ME? (available wherever you get your podcasts). Great for fans of REM, particularly those who like comedy as well as it regularly has me laughing while I'm out walking. I've just got up to the UP album episode but its got me thinking about my favourite REM songs and albums since they were my favourite band as a teenager in the '90s and are still among my favourites. Since there are 16 albums (well, one is an EP but I'm going to count it as its great) I thought I'd make my decisions less fraught and choose 16 songs! I'm sure I'll change my mind by the end of the podcasts but thought I'd throw this out there for anyone who is interested! I really like the Adam Buxton and Richard Herring podcasts but you have to like their comedy persona's (which I do). Philosophy: Philosophy Bites, New Books in Philosophy. Not my most controversial blog but feel free to give your REM thoughts/podcast recommendations below if you want.